Manchester City midfielder Kevin De Bruyne believes that Tottenham Hotspurs are still a threat even without the injured Harry Kane. England skipper Kane is likely to miss the rest of the season after it was confirmed he suffered ligament damage to his left ankle in Spurs’ 1-0 win over City in the first leg. 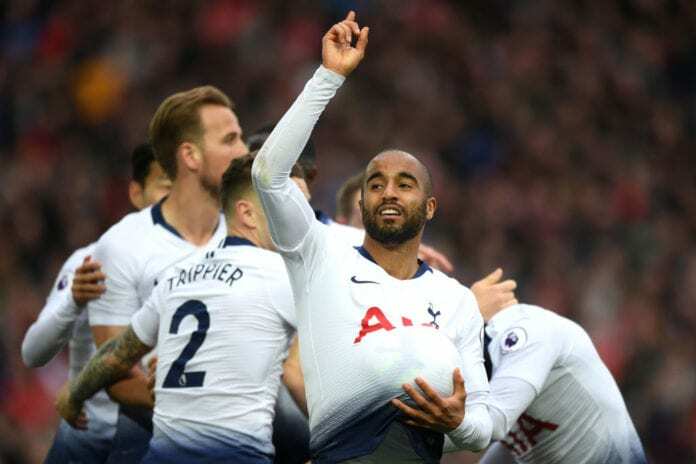 Statistically, Spurs have played well in the absence of their star man which was proven by Moura who plundered a hat-trick as Spurs beat Huddersfield Town 4-0. And De Bruyne believes Mauricio Pochettino’s side will still pose a significant threat in the second leg at the Etihad Stadium on Wednesday. “Harry Kane is a wonderful striker, but it would be disrespectful to the other guys [to suggest it will be easier],” he told reporters via Goal. The Spurs lost 1-0 against Manchester City in the English Premier League, but Ben Davies wants his team to see the positives. De Bruyne reckons it’s a massive task to win all their remaining games – including the Manchester derby at Old Trafford. “If we don’t win the Premier League, people are going to say it’s a failure,” he added. “Even if we don’t make it, I think we’ll still have had a great season.